Through the use of worms and worm castings (vermicastings) is the best way to reclaim the soil. It is nature’s pure unadulterated process. It has been proven to increase plant growth, health, and yields faster and better than many other types of soil amendments. I have been using it for years and have personally seen the effects of it on my tomatoes, corn, watermelon, peppers and everything that I grow in my garden. George W. Dickerson, Extension Horticulture Specialist from New Mexico State University said "Earthworm castings in the home garden often contain 5-11 times more nitrogen, phosphorous, and potassium than the surrounding soil". He also went on to say, "Secretions in the intestinal tracts of earthworms, along with soil passing through the earthworms, make nutrients more concentrated and available for plant uptake, including micronutrients." You can view his table of chemical and mineral percentages by clicking here. 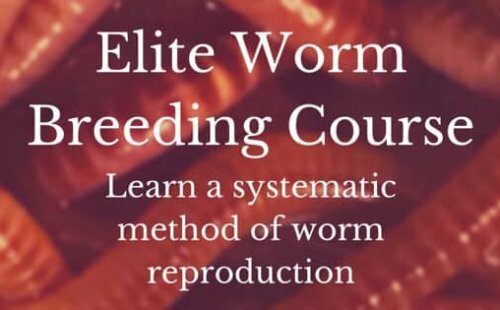 It is widely proven through many studies at universities and laboratories that worm castings is not only a soil replenisher and fertilizer, but in many ways a pesticide and pathogenicide, in the sense that it helps the plants build a strong immune system. This is a quote from Clive A. Edwards, professor at Ohio State University Dept. of Entomology in his publication on The utilization of vermicomposts in horticulture and agriculture "Clearly, vermicomposts are very valuable tools in crop production and pest and disease management". Worm castings Contains a host of microorganisms that is food for plants. After the worms are finished eating your garbage they leave their rich, black castings behind that microorganisms feed on even after you have transferred it to your garden. The plants feed off the microorganisms that help create a strong immune system. Due to this chain reaction of events, it is a time release process to the plants. It's a no-brainer when it comes to spreading it on your plants. Unlike harmful chemicals, it will not burn plants no matter how much you use, but you will always have that fear with synthetic chemicals. This immune system has been proven to be effective against such pests as cucumber beetles and sucking insects like aphids, medley bugs, and scale insects. Clive A. Edwards also says that Vermicompost suppresses such pathogens as Pythium, Rhizocronia, Plectosporium, and Verticullium. Due to the spongy nature of worm castings (vermicastings) it has a high water retention capacity and allows the soil to aerate properly. The complexity of the microbe community (and of course, what you feed the worms) is what gives plants their broad diet. Many gardeners who compost their leaves and grass clippings (in compost tumblers or in the absence of worms) think their compost possesses this abundant broad community of microbes. Some may, but what has been determined through testing is that the product has a relatively poor structure and is lacking in nutrients. Albeit, this is better than chemicals, but the garden compost is missing that special bond between the plant and its food...the worm. Since the beginning of time, earthworms have had a specific purpose. they were designed to have a special interaction between waste and microorganisms. The reason a worm’s digestive tract runs the entire length if its body is to give bacteria ample time to aid the worm in breaking down the decaying matter. By strictly using a garden compost, you're bypassing this natural and vital process that all plant life depend on. Have you ever walked through a luscious forest and noticed the rich, green abundant life. It must be because someone is spending a lot of time and hard work at spreading synthetic fertilizer everywhere, right...? of course not! The floor of a forest is teaming with microbes feeding and cleaning up all the leftovers from last year. It's pure unadulterated nature at its best. So why do we continue to spread dangerous chemicals on our crops and in our soil? Well, some of it is ignorance I guess, and the other is for the same reason a body builder would use steroids. It makes them bigger and beefier faster. They even know the unhealthy risks they are taking, but do not care. They have their eye on the money and the prize. Agriculture has also become that body builder who competes for the money and the prize. However, it's not really a prize in the end, but sadly, a price. If you would like to learn how to apply the vermicastings to your plants then go to the worm castings usage page.